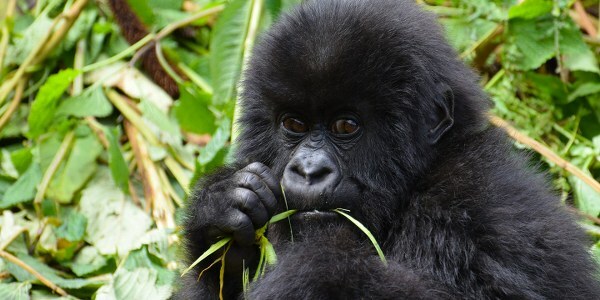 This 1 Day Rwanda Gorilla Tour One Day Gorilla Trek in Rwanda is the cheapest and shortest gorilla Tour that is organized for Visitors with limited time to spend on safari in Rwanda. 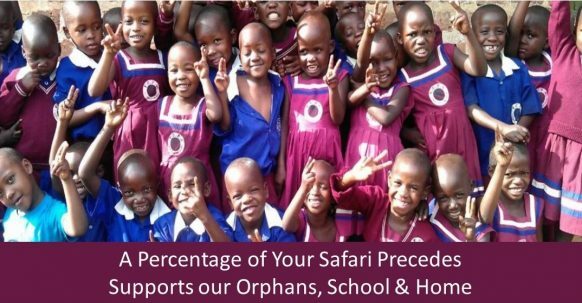 It is very suitable for those who are residing or staying in Rwanda and therefore they can undertake it as an excursion. It involves setoff up very early in the morning especially when one is staying in Rwanda’s Capital City Kigali .It’s highly recommended for one to spend a night at Ruhengeri were Volcanoes national park –Natural home of Mountain Gorillas is located. On this one day tour, you will wake up very early in the morning like at 5:00am to embark on the thrilling transfer drive of 80kms from Kigali City to Volcanoes National Park situated in the North West part of Rwanda. The overland journey of 1-2hours will take you through the picturesque rolling winding hills and scenic landscapes that characterize the land of thousand hills-Rwanda. On arrival to the park, you will report to the park headquarters for registration and early morning briefing at 8am about the gorilla trekking code of conduct at Volcanoes national Park. In this meeting, you will be assigned a particular gorilla family or group that you are going to encounter. In case you are not physically fit, you are allowed to inform the responsible park officials so that they can assign you less strenuous Gorilla family. After briefing, the experienced Ranger guides will lead you into the forest trails to search for the critically endangered mountain gorillas thriving in the hilly forested areas of Volcanoes national Park. The activity which may last between 2 – 8 hours depending on the movements of the apes will offer you one (1) hour of memorable direct encounter with Mountain gorillas. You will see them feed their young ones, look for food among other gorilla daily activities and at that time, you are allowed to take as many photos as you wish after which you will disembark to starting point where the activity starts from. After retiring to the park headquarters, embark on the drive back to Kigali city now enjoying the fascinating countryside scenic views. Upon arriving at Kigali City, if time allows, you can continue to visit Gisozi genocide memorial Centre where you will have time to listen to the comprehensive history of Rwanda during the 1994 genocide and the events of the massacres, including personal accounts. Thereafter, the driver guide will drive you to your Kigali place of stay or Kanombe International Airport for your onward flight back home.